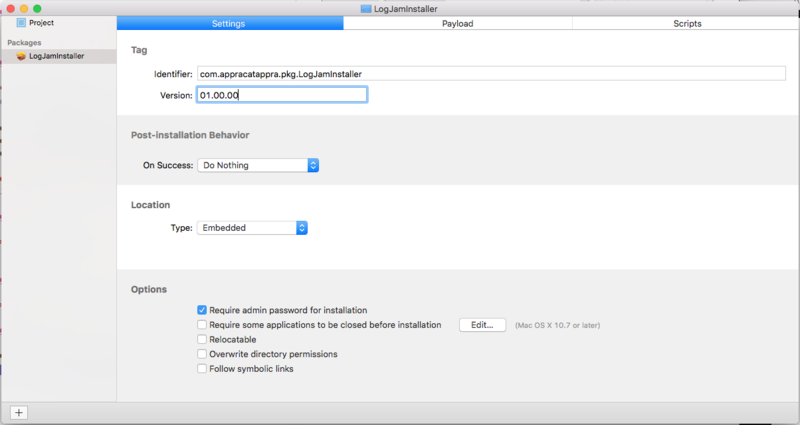 Cross-Platform Universal Swift Framework Installers | Appracatappra, LLC. 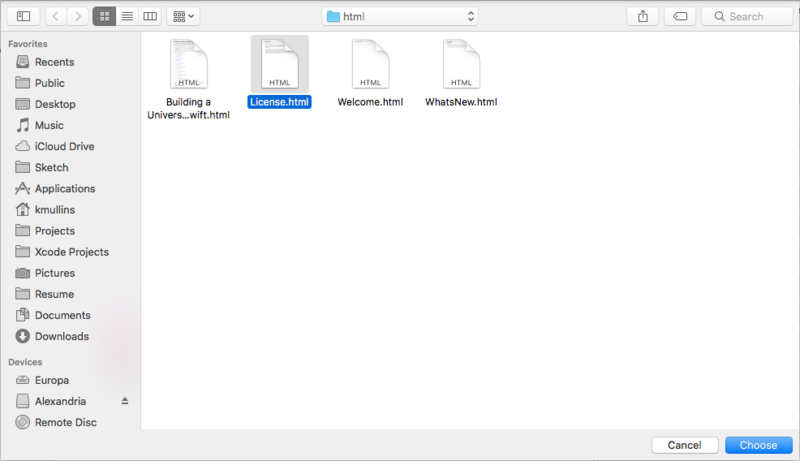 In this second part of our three part article on the steps Appracatappra uses to create Universal Frameworks in Swift, we will cover creating an Installer Package from our compiled Universal Frameworks that includes all of the Apple OSes that the framework supports and places them in the correct locations in the consumer’s development computer. 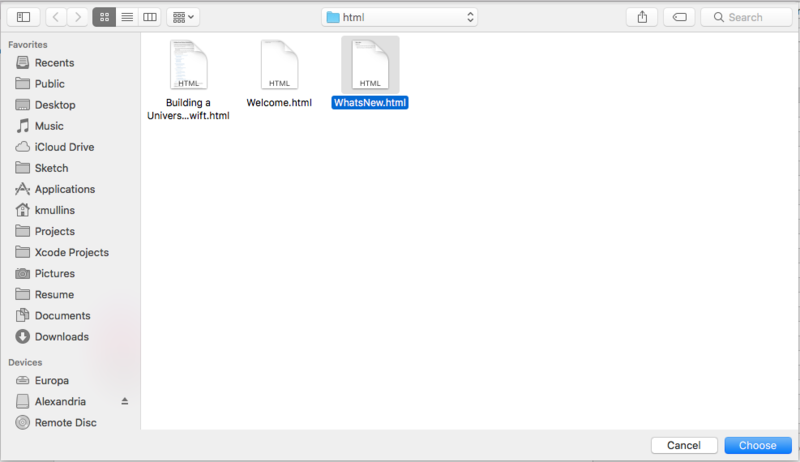 In the first part, Building Cross-Platform Universal Frameworks using Swift, we covered the steps to create the Universal Framework project, have it support multiple OSes, share as much code as possible across OSes, build the API documentation for each OS version and include both hardware and simulator support for iOS, watchOS and tvOS frameworks. As I stated in the first part, mine is not the only way to achieve this goal and it might not be the best way but, it works for me and I hope you can find this information useful too. 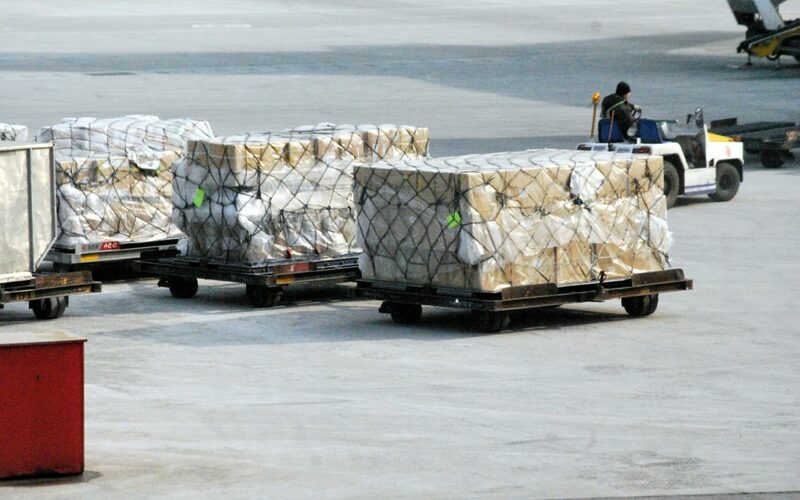 I found much of the information for this article scattered throughout the internet, so another point of this article is to pull it all together in one place. I’ll give credit and link back to the original source articles, so you can look at different ways of structuring your projects to fit your own needs. Now that we have the final framework versions built and ready to ship, there comes the question of where to install them in the client’s development computer? 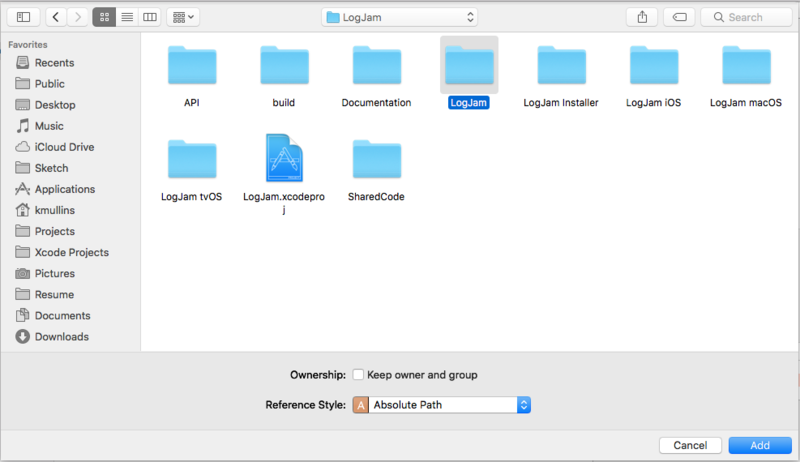 According to the Installing Your Framework section of Apple’s Introduction to Framework Programming Guide the typical location for public 3rd party frameworks is the /Library/Frameworks directory on the developer’s computer. 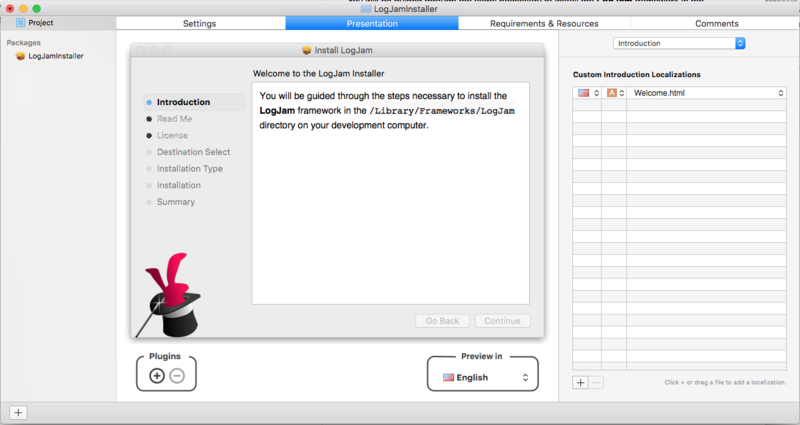 For nearly all cases, installing your frameworks in /Library/Frameworks is the best choice. Frameworks in this location are discovered automatically by the compiler at compile time and the dynamic linker at runtime. 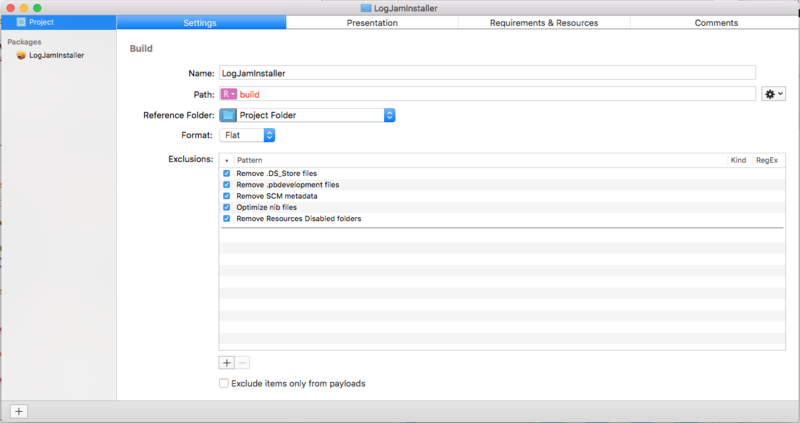 Applications that link to frameworks in other directories, such as ~/Library/Frameworks or /Network/Library/Frameworks, must specify the exact path to the framework at build time so that the dynamic linker can find it. 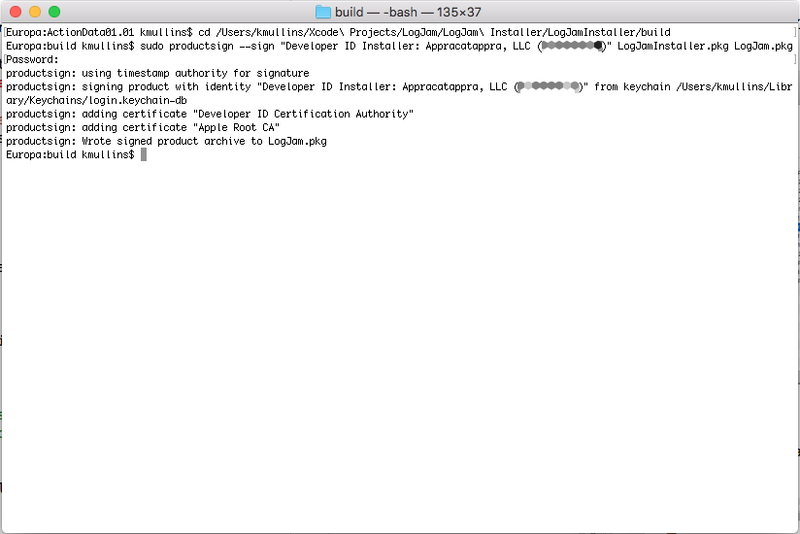 If the path changes (as it might for a user home directory), the dynamic linker may be unable to find the framework. 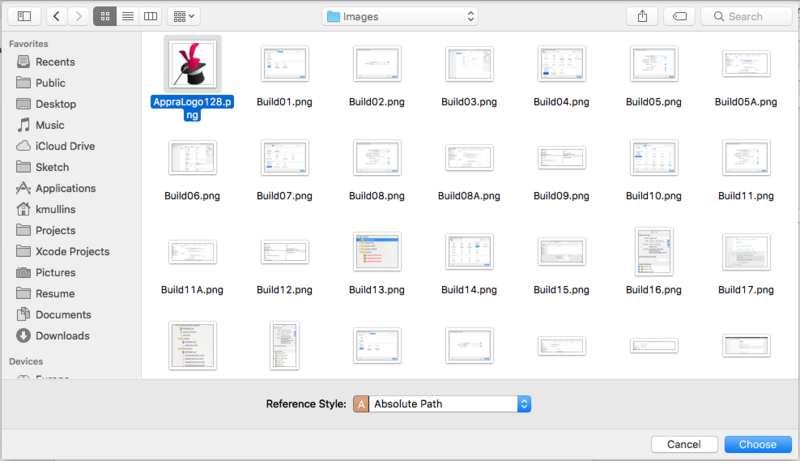 Now that we know where to place the final frameworks, we need to create an Install Package to automate the process. Most of the information for this section came from The Eclectic Light Company’s Making an Installer package the easier way article. 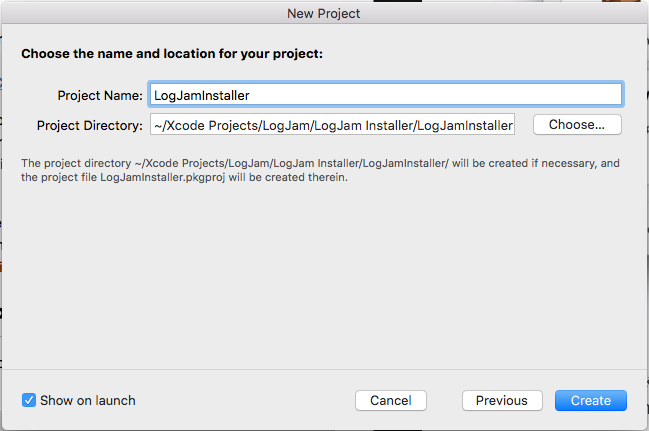 Apple no longer provides a GUI tool for creating Installer Packages, but instead relies on a pair of command line tools: pkgbuild & productbuild. If you want to go this route, I would suggest reading The Grey Blog’s Creating Packages from the Command Line. 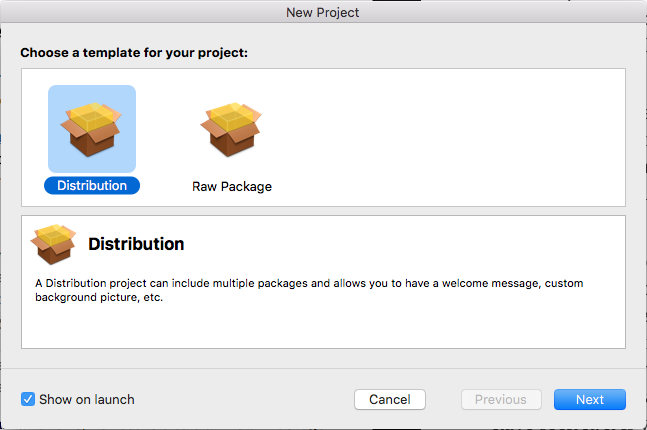 That was a bit too much for the simple type of installs required for our Universal Swift Frameworks, so we chose to use Stéphane Sudre’s free Packages app for macOS. 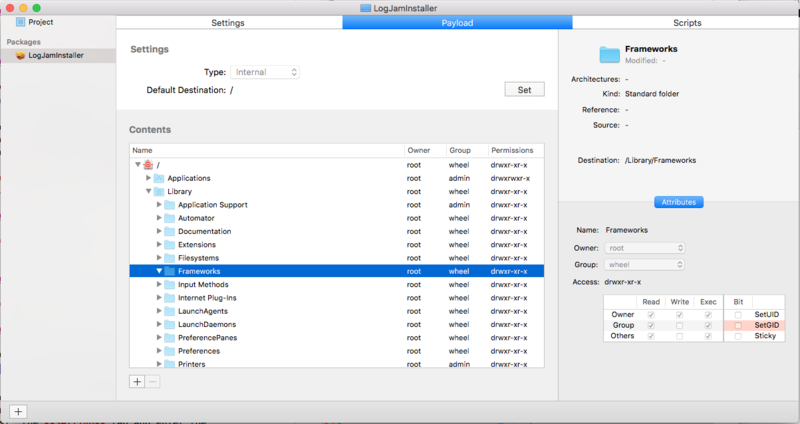 As the The Eclectic Light Company’s states, the app is old but works great on High Sierra and is easy to use. 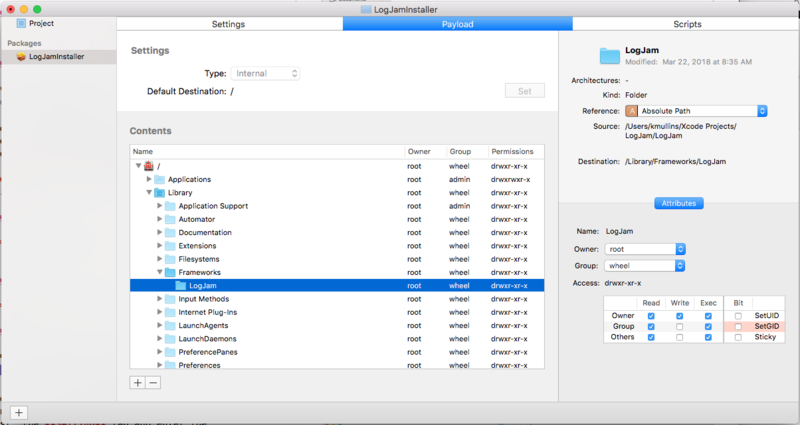 The one thing Packages is missing is the ability to sign the final Installer Package with the a Developer ID Installer Certificate, which is required to allow a consumer to install the package on newer version of macOS. We will address that after we have built the Installer Package in the Signing the Installer Package section below. 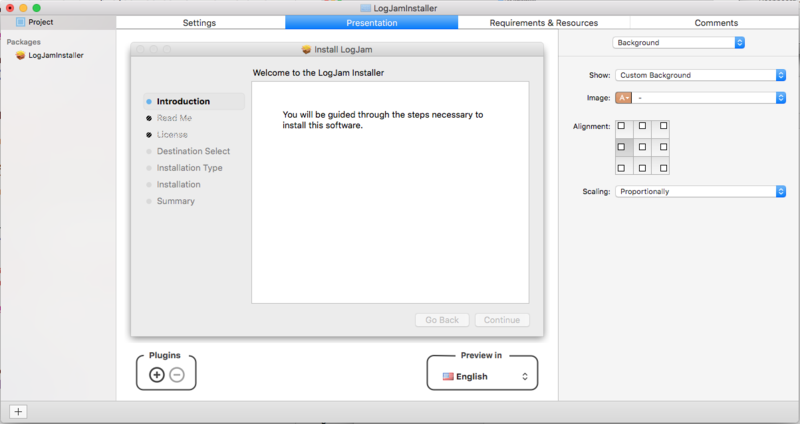 In this section we will define the look and feel of the Installer Package that will be built including the Title, Background Image, Introduction Message, Read Me message, License Agreement and Summary message. 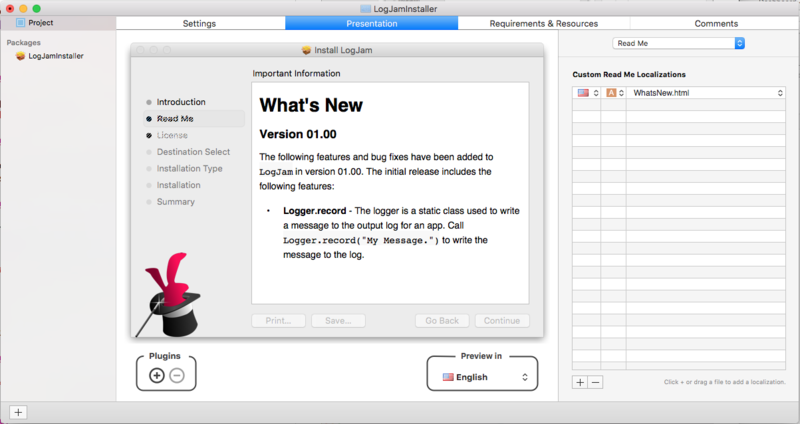 Several of the message sections are optional and all of the sections can be localized. For each localization, you will create a file in the Universal Framework Project directory in one of the following formats: TEXT, RTF, RTFd or HTML. Use the + button at the bottom of the list to add more localizations, if required. 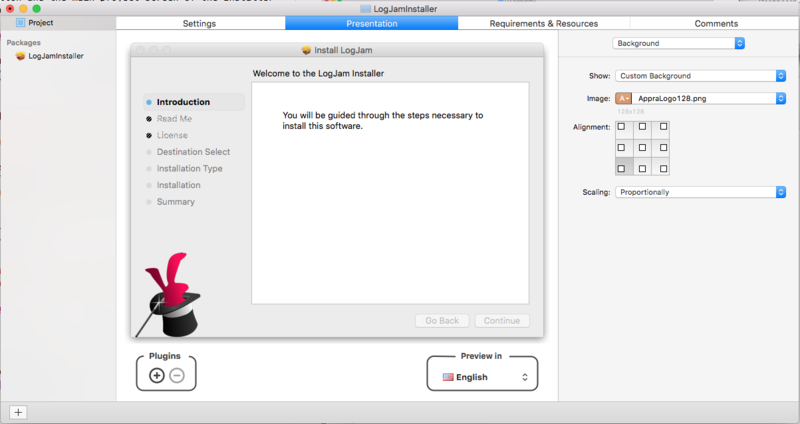 The Introduction Message is the first screen shown by the installer. 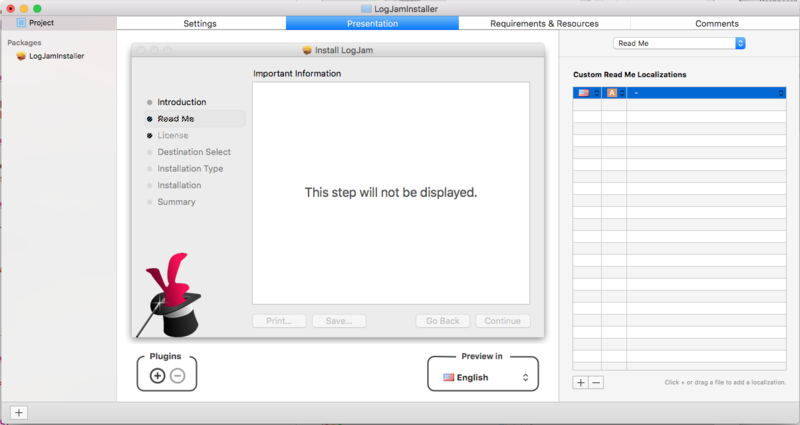 You will need to create a TEXT, RTF, RTFd or HTML file for each localization. We typically use the Read Me message to show what has changed in a new version of our frameworks. 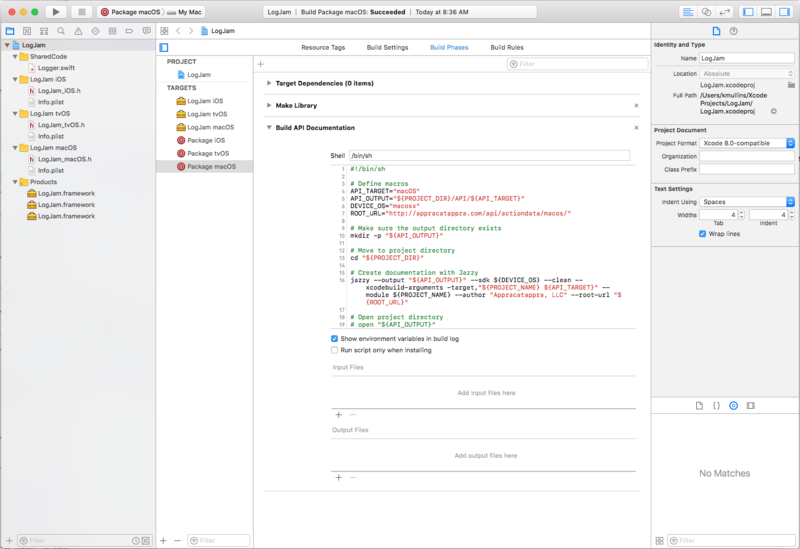 You will need to create a TEXT, RTF, RTFd or HTML file for each localization. 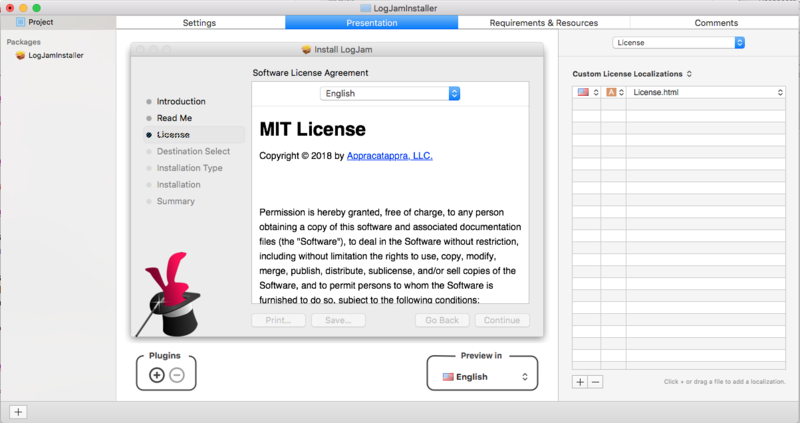 Create a License Agreement for the type of framework you have created, for example the MIT license. 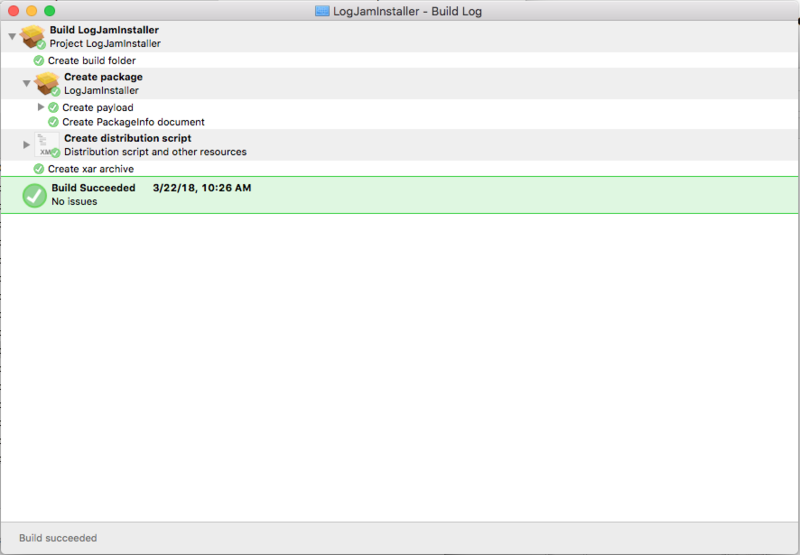 You will need to create a TEXT, RTF, RTFd or HTML file for each localization. 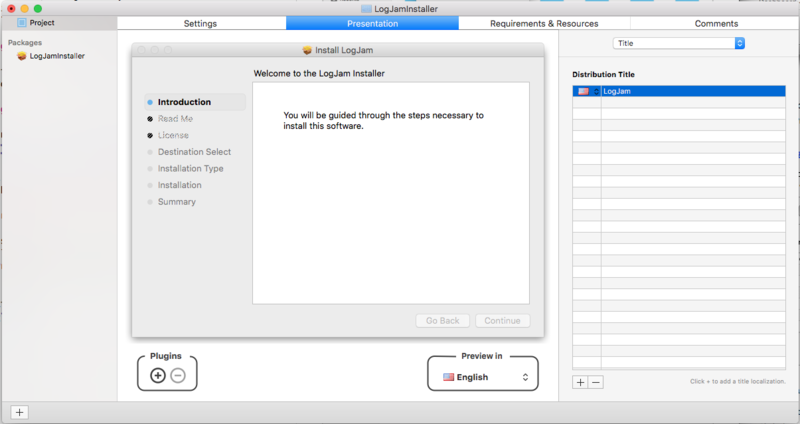 Save your changes to the Installer Project. 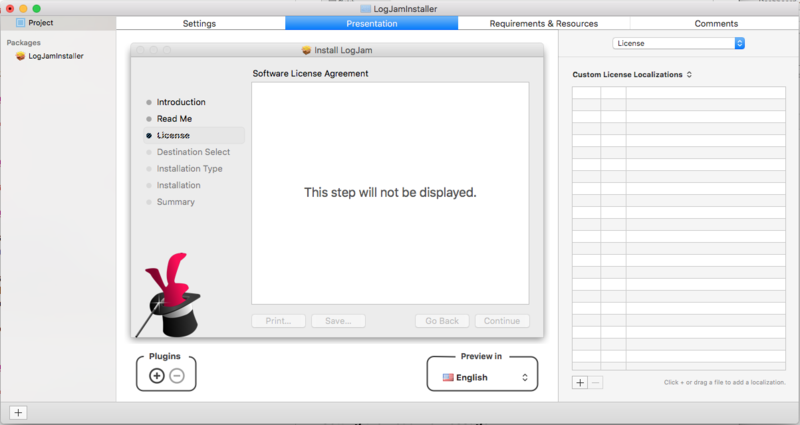 To be successfully installed on newer version of macOS, the Installer Package will need to be signed with your Developer ID Installer Certificate from Apple. 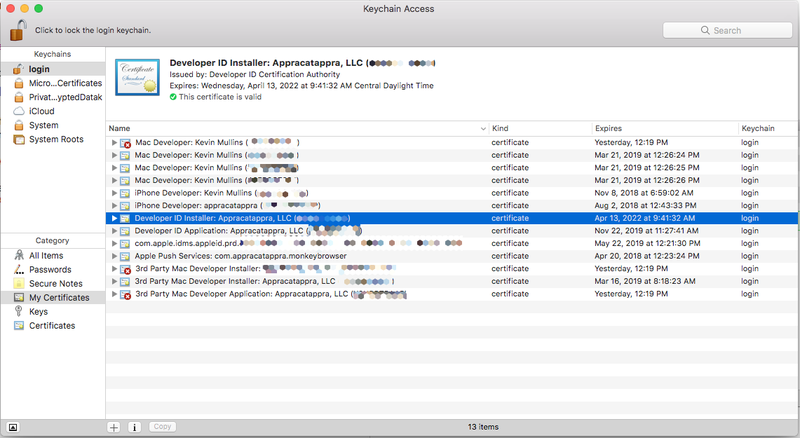 This certificate can be created in Xcode under Preferences > Accounts > Manage Certificates… Creating this certificate is beyond the scope of this article, however, you should be able to find plenty of information about the process on the internet. You’ll need to know this name exactly to sign the package. 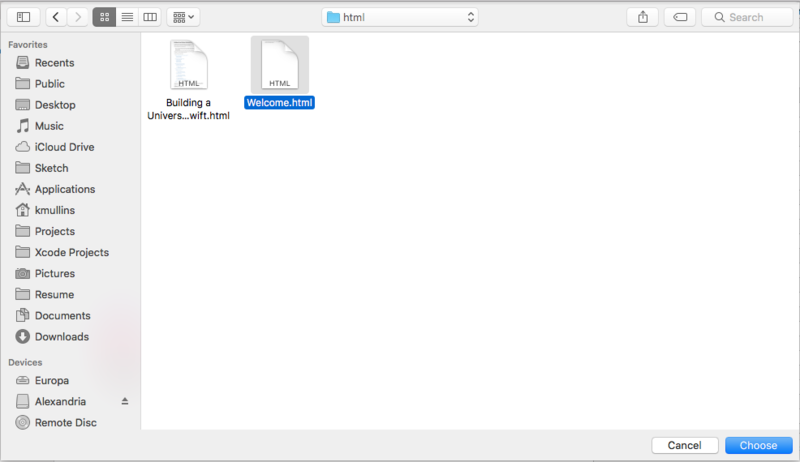 The third part, Using Your Custom Cross-Platform Universal Swift Framework, covers installing and using our custom cross-platform Universal Swift Framework on a consumer’s development computer, updating to new framework version and trimming the “fat binary” framework to release the app to the iTunes App Store. 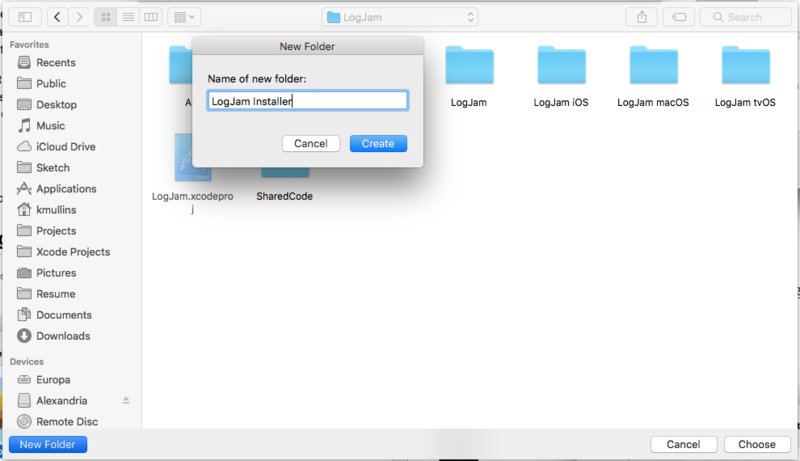 I’ve open sourced the LogJam project so you can access the final project if you like.